Shoe Express is located at 10354 Mastin St Overland Park, KS 66212, near Skate City and Natinal America University. Our store has been locally owned for over 25 years. We are known to be one of the best repair shops in the Midwest. 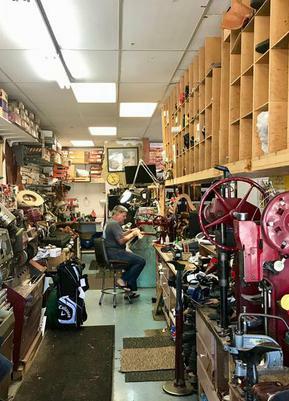 Luis the Owner, has been making, and repairing shoes since 1989. His experience and quality of work is unmatched. We started the business at Oak Park Mall in September of 1999. Establishing a long lasting relationship with our customers in Johnson county. In 2007, we moved to Olathe (119th & Strang Line Rd.) Being there for seven years until we moved to this location. As a customer, we will guaranteed to provide you with the best service. Quality and customer satisfaction is our number one priority.